Getting closer to 1st Open Call launch date! 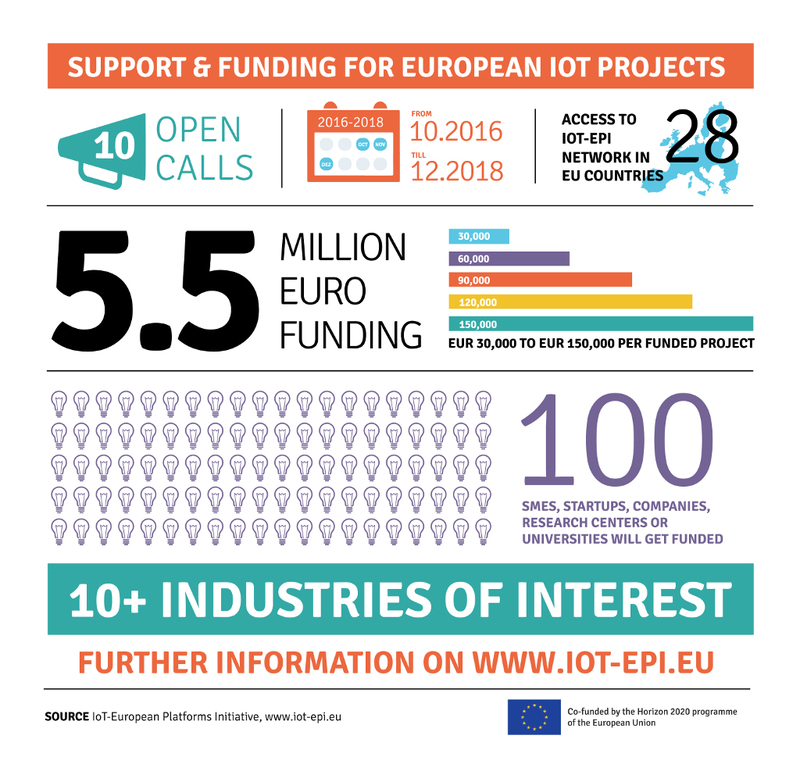 symbIoTe, along with the rest projects of IoT-EPI, plans to fund SMEs, startups, research centers and universities with a total of EUR 5.5 million in 10 Open Calls. symbIoTe will launch its 1st Open Call on November 30, 2016, with the 2nd Open Call planned for one year later, at the end of October 2017. 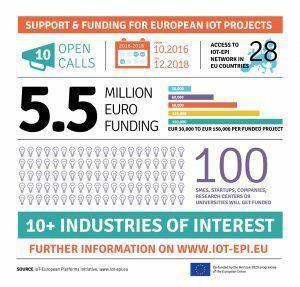 Read the respective press release from IoT-EPI and stay tuned for more information on our 1st Open Call. Don’t forget to subscribe to the notification service so as to be informed instantly on updates and new material for the Open Call applicants, even earlier than the official launch date!